One of the best things about owning this luxurious country home is its warm and welcoming exterior. 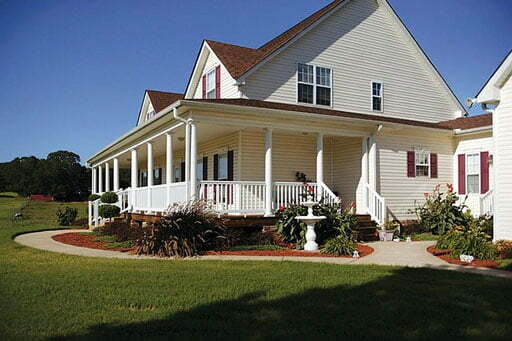 This country home is a piece of rural beauty that any family would be proud to call their home. 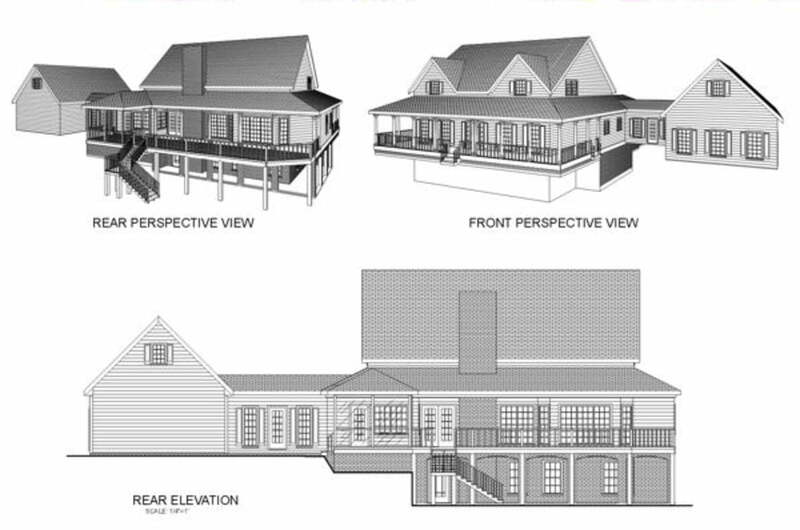 Surrounded by spacious wraparound front and back porches, the exteriors of the house are the perfect place to admire the sunset against the beautiful countryside. 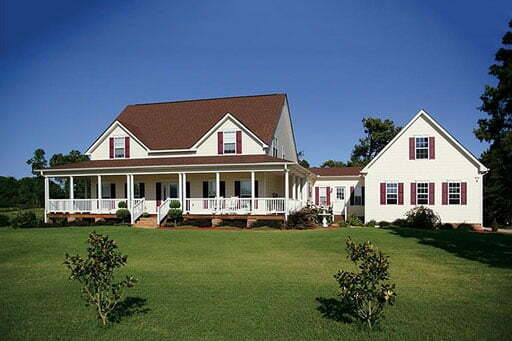 This grand two-storey country home boasts an elegant white exterior with deep red window shutters and a burgundy roof. It is also the best fit for a big family due to the large size of its interiors. As you enter the house, you will find yourself in a room with a staircase leading to the second floor of the house. Connected to this room are the living room, the dining room, and the family room. 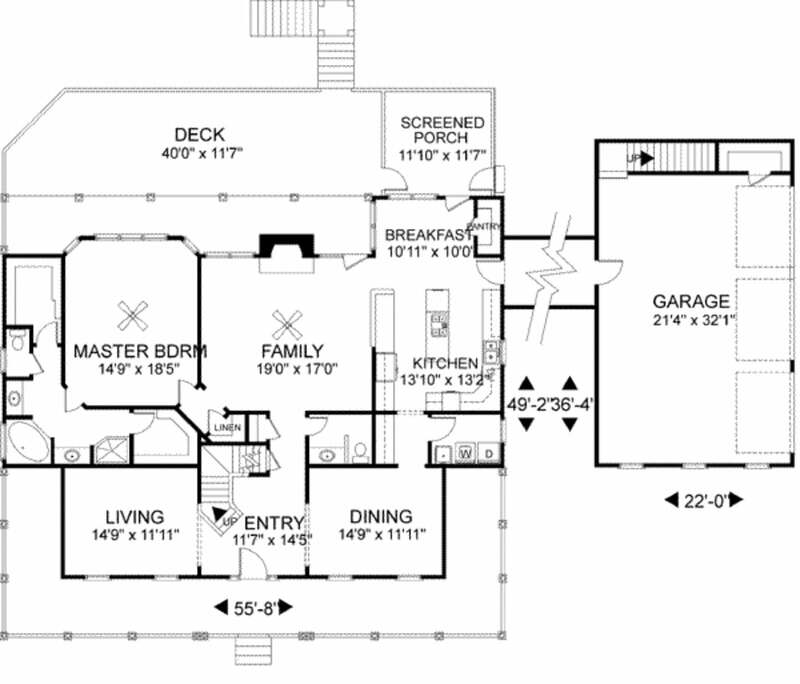 The kitchen and breakfast pantry are located at the corner of the house, connected to the family room and dining room. 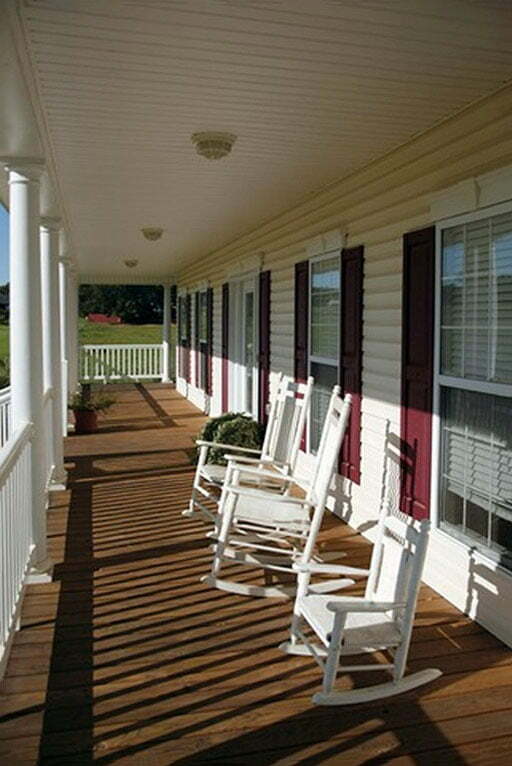 After having a delicious country meal in the kitchen, you can step right outside the door leading to the screened porch. One bedroom is located at the first floor while the rest are at the second floor. It is also important to note that the house is connected to the garage right next to it. As you can see, this home is perfect for anyone who loves the south and wants to create wonderful memories with their loved ones. In case you want to add steel frames or metal slidings, feel free to contact the contractor. Stats: 2,972 sq. ft., 4 bedrooms, 3.5 baths. More details and features in the plans below.